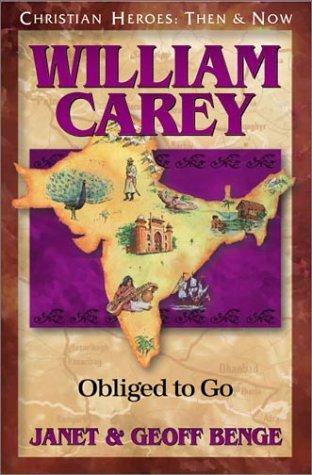 William Carey, "the father of modern missions," displayed a single-minded determination to bring the gospel to the people of India. William Carey by Janet & Geoff Benge was published by Frontline Communications in October 1999 and is our 19689th best seller. The ISBN for William Carey is 9781576581476. Be the first to review William Carey! Got a question? No problem! Just click here to ask us about William Carey.